The popular DoA franchise has returned, but will Dead or Alive 4 be able to live up to the well-known name? I Just Built That Wall: The gameplay in Dead or Alive 4 has remained essentially the same as the last installment in the series. You will be able to choose from a wide variety of characters (including one new unlockable secret fighter) and battle them against each other. Dead or Alive does not have a career mode of any sort, but does feature somewhat of a story mode. In the story mode, you will pick one of the characters and then fight against many others, with occasional cutscenes thrown in that provide some backstory to your favorite brawler. The biggest addition to the gameplay in the game is the ability to throw your opponent through the environment and onto platforms below. Whether it is a stone wall or a picket fence, the gameplay is a lot more intense when you can be thrown out a window at anytime. Clean And Shiny: The visuals in DoA4 are quite impressive and will provide you with some clean character models, as well as some less noticeable details like reflective water. The sound is also strong and whether it is in the story mode or simply combat sound effects, you will be treated to some nice sound. 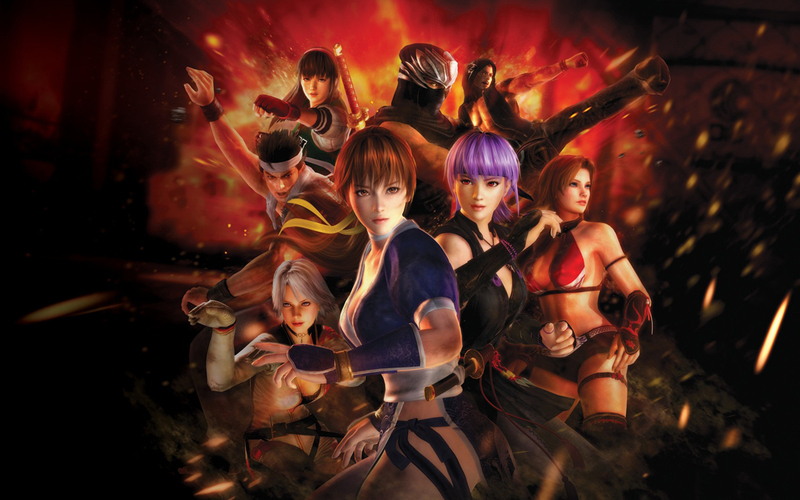 Online Battles: DoA4 also features an online mode that allows you to have 1-on-1 battles against opponents from around the world. The online component is amazing and being able to battle against other players (lag-free too) using your favorite DoA characters is a blast. Rent vs. Buy: Dead or Alive 4 is an amazing game that maintains the unbeatable fighting formula that has been in use by the franchise for years, but still manages to implement subtle additions. The outstanding visuals, great sound effects, unbeatable gameplay and impressive online multiplayer overshadow the overall lack of game modes and the occasional glitch. If you are a fan of the fighting genre, then you cannot go wrong picking Dead or Alive 4 up.